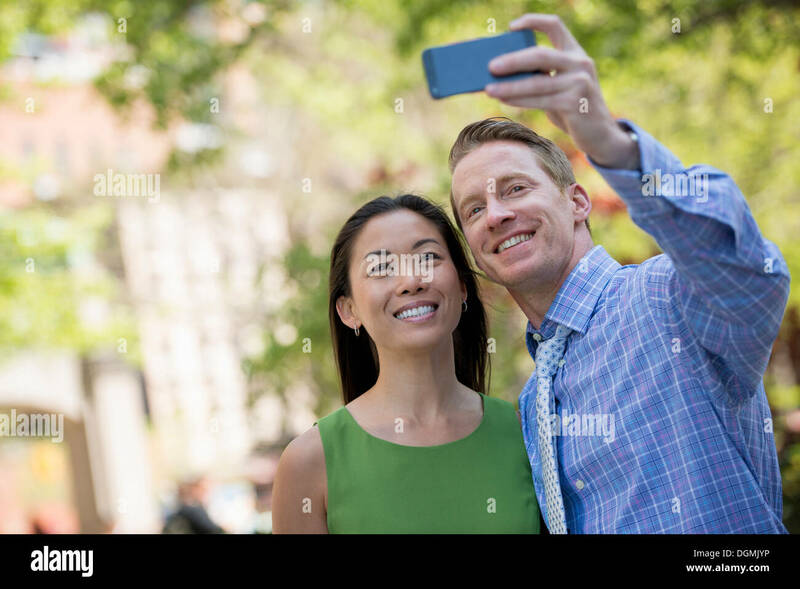 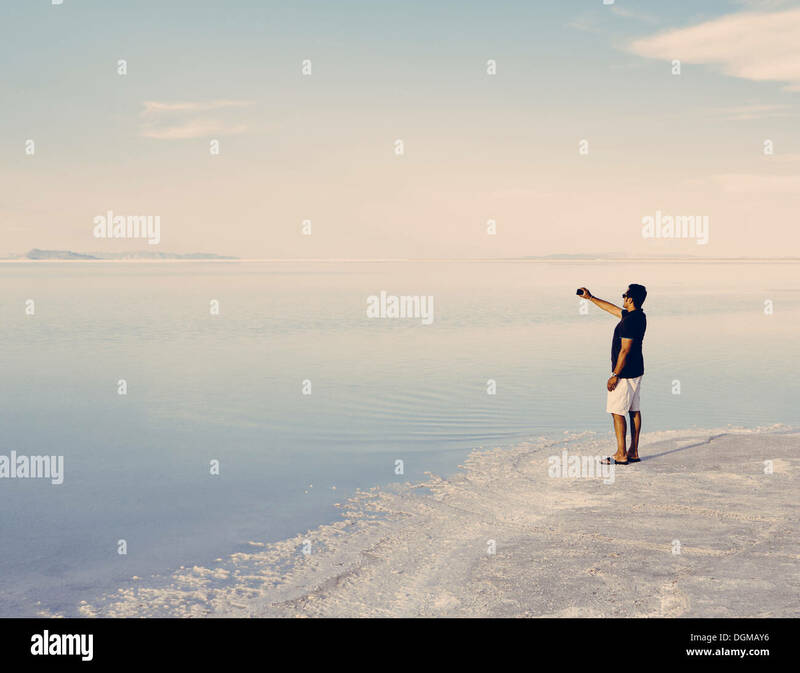 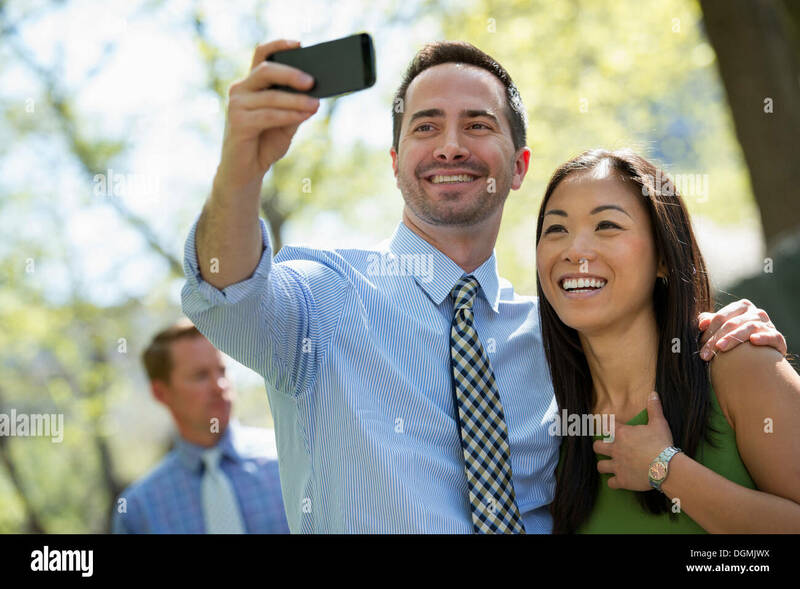 A couple, a man and woman taking a selfy with a smart phone. 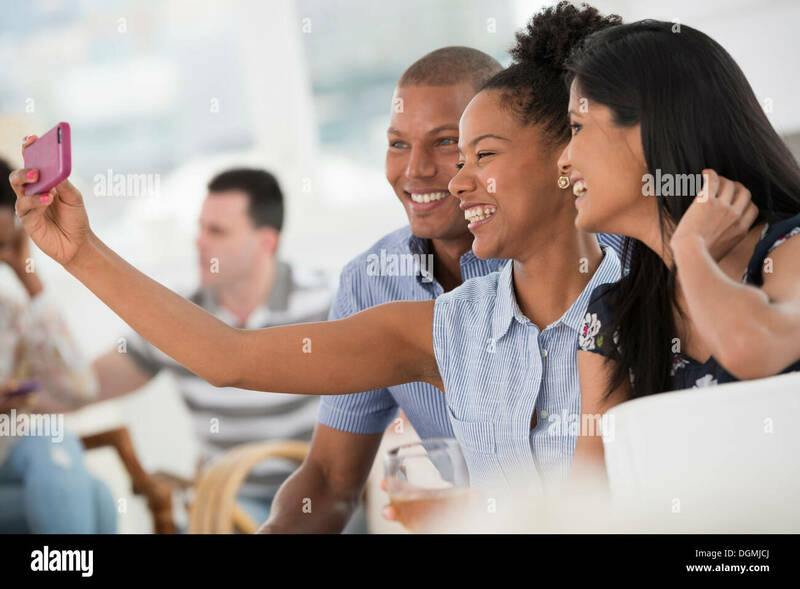 Office event. 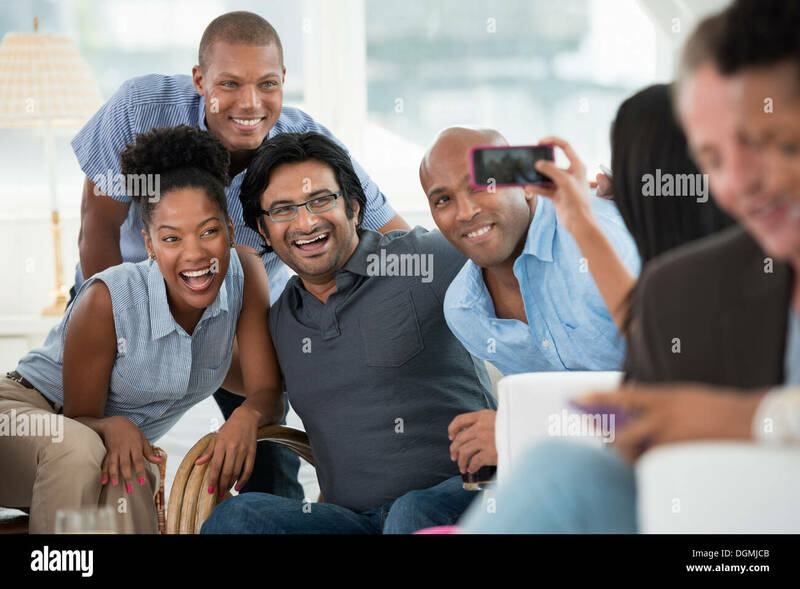 A woman taking a selfie of the group with a smart phone.